The Mixteca Region in the State of Oaxaca is one of the 18 priority areas in which the World Wide Fund for Nature (WWF) and Carlos Slim Foundation (CSF) Partnership works. The WWF-CSF Partnership, along with the federal, state and municipal governments, local communities, conservation leaders and national and international environmental organizations has supported a Strategy for the Conservation of Biodiversity and Sustainable Development in Mexico since 2009. 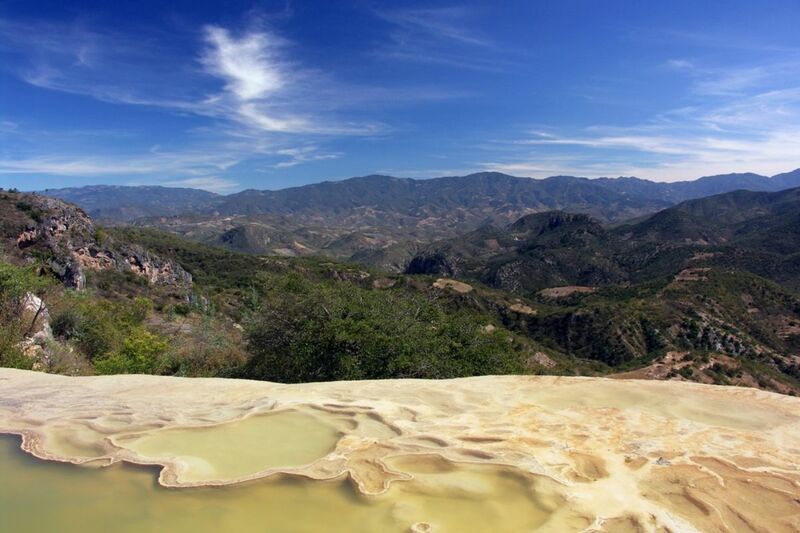 This region comprises 1,709,482 hectares and includes two sub-regions, the Mixteca and a part of the Sierra Sur. It is divided into the districts of Coixtlahuaca, Tlaxiaco, Nochixtlán, Teposcolula, Huajuapan, Silacayoapam and Juxtlahuaca in the Mixteca, and Putla in the Sierra Sur. It borders with the states of Puebla and Guerrero. The Mixteca Region in the State of Oaxaca is an area of ​​great importance worldwide, biologically and culturally, due to the number of endemic flora and fauna species it harbors, and the presence of Mixtec, Triqui and Chocholteca indigenous communities. Evaluation of ecosystem services and establishment of programs for payed environmental services among local communities. Conservation of ecosystems and their biodiversity. Strengthening of government programs and community planning focused in sustainability at 3 different levels: communal land used for agriculture (ejido), municipal and micro-regional scales. Promotion of the sustainable management of natural resources and productive systems. Increased connectivity of ecosystems and biological corridors. Update of the community register and the community statutes that govern the use of the territory and its natural resources. Establishment of community conservation areas. Productive diversification, including tourism based on biological diversity and environmental services. Promotion of markets related to good agricultural practices and the conservation of ecosystems. Establishment of adaptation plans to climate change. Since its creation, Carlos Slim Foundation has had environmental protection as one of its main topics, which is why it has promoted various partnerships with important institutions dedicated to the preservation and maintenance of a healthy environment that supports the development of people. The WWF-CSF Partnership works in six priority regions (Mexican Mesoamerican Reef, Desert of Chihuahua, Gulf of California, Monarch Butterfly, Oaxaca and Chiapas) with local, national and international partners, adding efforts and financial and human resources for sustainable development and conservation of biodiversity. It also works hand in hand with federal and state government agencies so that investments contribute to meeting national and regional goals.